While a visit to Rio to see the main attractions and relax on the beach is a lot of fun and makes for a perfect vacation, there are several other reasons to visit this glorious city. Many visitors like to take vacations that are centered on their special interests be it sports, education or holiday travel. Rio de Janeiro has thousands of miles of coastline. Surfing is becoming a fast growing sport in Rio. Most surfers will be able to handle the waves at Ipanema, Macumba and Prainha beaches. 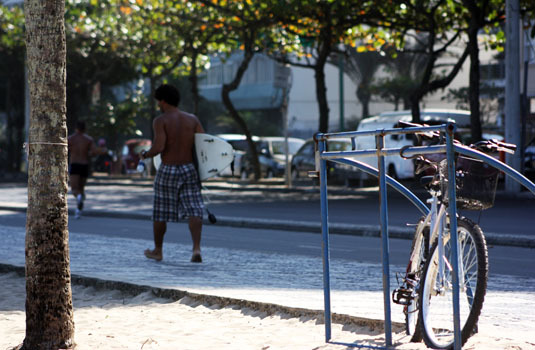 Experienced surfers can check out Barra Beach, Flamengo Beach and Posto 5 & Posto 6 at Copacabana Beach. Soccer enthusiasts will enjoy visiting Maracana Stadium. Or take a walk along Ipanema and Copacabana beaches where there are plenty of soccer games going on. Ask the participants if you can join in. Rio invented the Samba and visitors can learn to dance from one of the local samba schools such as Salgueiro in Tijuca on Rua Silva Teles.Visit on Saturday nights to learn how to dance the Samba. Or in the Centro District check out Sao Clemente on either a Tuesday or Saturday night for dancing lessons.The Sambodrome has weekly shows featuring beautiful women and muscle bound men dancing to the Samba beat. The rainforest is the most beautiful place on Earth. Visit Botanical Garden in Rio’s southern zone. There are approximately 6,500 species of animals and 6,000 species of plants. There is also a research institute on the premises. The Tijuca rainforest's, just 15 minutes outside of Rio has plenty of hiking trails that lead to lovely to waterfalls, steep mountain tops and glorious vistas of the city. The Carnival is one of the best holiday vacations you can ever take. You should plan on taking your vacation during the grand finale when the samba schools compete in the Samba Parade at the Sambadrome. You can purchase your Sambadrome Parade tickets online at RIO.com. Grandstand tickets offer seats in the bleachers or you can purchase chairs or front box tickets that are yours throughout the competition. Tickets are also available for the balls and parties too. New Years Eve is one of the largest celebrations in Rio. Over 1 million people gather together on Copacabana beach for a night of fireworks, live music and general revelry. Try to get a hotel right on Copacabana beach for easy access to the fun. 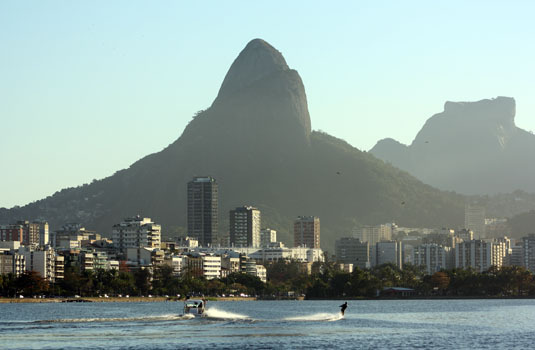 There is so much to do in Rio de Janeiro that any visitor can design a vacation around his or her special interest. From kite surfing to music lovers there is plenty to do in the city.